Obesity is the fastest growing health problem in the world. 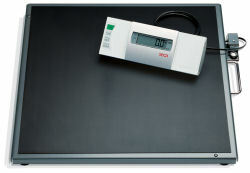 This battery-operated digital scale has been especially developed for weighing obese patients. With a weighing range of up to 800 lbs and a 23 1/4 x 23 1/4" large, only 2 inch high non-slip platform, it is a sturdy base for overweight, or obese, patients. A chair may also be used on the scale (and will not influence the weighing result due to the pre-TARE function). The cable remote display with easy to read LCD can be held, wall mounted or placed on a table. The 0.2 lbs graduation means that the smallest changes in weight are registered, even after the patient has left the scale – thanks to the HOLD function. 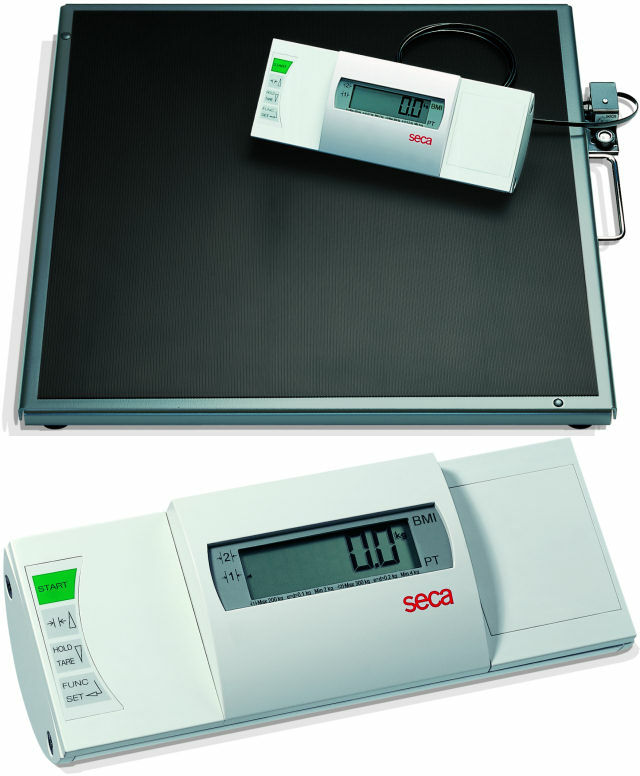 The integrated Body Mass Index (BMI) function also emphasises the many uses of this unique multifunction scale. 23.5" x 23.5" x 2"